True wisdom and beauty, in a time when we dearly need both.—Eileen Pollack, author of THE BIBLE OF DIRTY JOKES......One could place this book, so different from its contemporaries, in the dive-in-get-wet tradition begun by Montaigne: choose a subject as your starting point and then follow where your musings take you. But I am reminded of another French thinker as well, the philosopher of the imagination Gaston Bachelard, who reminded us that "Words dream." In Sweet Marjoram, DeWitt Henry leans in close, divines those dreams, follows their lyrical and associative reasoning, and in his precise and luminous prose, maps our contemporary consciousness, noting our psychic landmarks, our moral architecture, the roads we take to the things that matter.—Richard Hoffman, author of HALF THE HOUSE and LOVE & FURY. Red Hen Press, 2008. 190 pp. "As with any flat-out wonderful book, a few words of praise cannot begin to do it justice. But here goes: SAFE SUICIDE is elegantly written, edgy, touching, inventive, surprising in its shifts of style and form, and completely spellbinding from start to finish. Partly memoir, partly a sequence of interlocked essays, this is a book that works its way under your skin and down into your vital organs. It is really, really good." --Tim O’Brien, author of THE THINGS THEY CARRIED. Essays that reflect the tenacity, the strength to go forward and to love. Beacon Press, 2001. 219 pp. Co-edited with James Alan McPherson. Beacon Press, 1999. 252 pp. A collection of first or very early fiction by now prominent authors as it appeared in the prizewinning journal Ploughshares over the past three decades. Upcoming events: due to unforeseen circumstances, I've had to cancel my readings at Kutztown University, April 4, Radnor Public Library with Beth Kephart, April 5, and Concord Public Library with Dzvinia Orlowsky, April 14. I hope to reschedule. Otherwise I will read at the Somerville Armory with Susan Tepper and David Gullette the afternoon of April 26, and at Harvard Bookstore with Jennifer Acker, May 8. Fate overrules. Born 6/30/41 in Wayne, PA. Radnor High School, 1959; A.B. Amherst College, 1963; M.A. in English, Harvard Univ., 1965; Ph.D. English, Harvard Univ., 1971; completed requirements for M.F.A. University of Iowa, 1968 (did not take the degree). Married Constance Sherbill 1973; two children Ruth Kathryn Henry born 1977; David Jung Min Henry born 1985. Grandaughters Eva Luz Henry born 2003, Maya Salome Torres-Henry born 2009. Sister Judy Friedericy; brothers Charles (deceased 1999) and John T. Henry (deceased 2004). Founding editor of Ploughshares literary magazine, and active editor and director 1971-1995. Interim Director of Ploughshares 6/2007-10/2008. Professor Emeritus , Emerson College, 2016-present. Professor, Writing, Literature, and Publishing, Emerson College, 2006-2015; Associate Professor 1989 to 2006: hired as Assistant Professor 1983; Acting Chairperson 1987-8; Chairperson 1989-93. Contributing editor to Solstice: A Magazine of Diverse Voices (2013-) and to The Woven Tale Press: Arts and Literary Journal (2016-). SWEET MARJORAM: NOTES AND ESSAYS, Plume Editions / Mad Hat Press, 2018. OTHER SIDES OF SILENCE: NEW FICTION FROM PLOUGHSHARES, Faber and Faber, 1993, o.p. "On Meat," essay, Juked, Nov.10, 2018 (http://juked.com/2018/11/dewitt-henry-on-meat.asp). "Notes On Privilege," prose collage, SOLSTICE, Winter, December 19, 2017 (https://solsticelitmag.org/content/notes-on-privilege/ ). "The Real Thing," prose poem, Woven Tale Press, Vol.5, No.9, November 1, 2017 (thewoventalepress.net). "On Handshakes," prose collage, PLUME No. 74, September 1, 2017 (http://plumepoetry.com/2017/08/on-handshakes/ ). "Notes on Time," prose collage, JUKED, August 8, 2017 ( http://juked.com/2017/08/dewitt-henry-notes-on-time.asp ). "On Voice," prose collage, Woven Tale Press, Vol. 5, No. 2, March 2017 (thewoventalepress.net). "On Falling," prose poem, Constellations: A Journal of Poetry and Fiction, Vol 6, Fall 2016. "Notes on Conscience," essay, Brevity, Issue 52, May 2016 (http://brevitymag.com/nonfiction/notes-on-conscience/). "Shamrocks and Salad Days," memoir, SOLSTICE, Spring 2012. 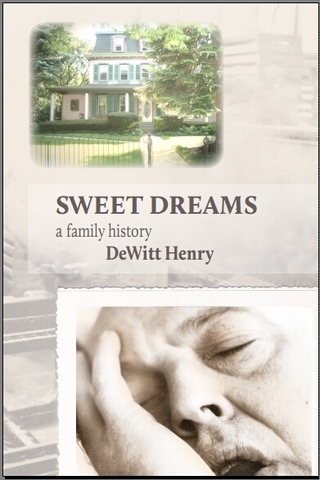 "Sweet Dreams: A Family History" (excerpt), SERVING HOUSE JOURNAL, Issue 4, Fall 2011 (www.servinghousejournal.com). "A Tribute to 'Tornado at the Club,' from Evan S. Connell's Mrs. Bridge (as revised into the Screenplay, Mr. and Mrs. Bridge, by Ruth Prawer Jhabvala)," fiction, WILDERNESS HOUSE LITERARY REVIEW #5/1, April, 2010. Awarded a Chekhov Prize for Excellence as best fiction of the year. "On Aging," narrative, THE IOWA REVIEW, 34/1, Spring 2004 (cited as distinctive in BEST AMERICAN ESSAYS 2004). "My Dog Story," narrative, THE NEBRASKA REVIEW, Spring 2003 (cited as distinctive in BEST AMERICAN ESSAYS, 2004). "Philandering," story, ASPECT 61, 1975; republished on Fictionaut, May, 2016 (http://fictionaut.com/stories/dewitt-henry/philandering). Review of THE LIMITS OF THE WORLD by Jennifer Acker, THE WOVEN TALE PRESS, Feb. 14, 2019 (https://www.thewoventalepress.net/book-reviews/). "INVENTING THE WORLD: The Fiction Writer's Guidebook to Craft and Process" by Jack Smith, review, Woven Tale Press Central, 10/24/18 (http://bit.ly/2q1gJXd ). "Words That Don't Exist," shoptalk, Woven Tale Press, 2/5/18 (http://www.thewoventalepress.net/2018/02/05/words-dont-exist/). Review of THE HIDDEN MACHINERY by Margot Livesey, THE WOVEN TALE PRESS, October 5, 2017.
Review of HEATING & COOLING by Beth Ann Fennelly, THE WOVEN TALE PRESS, October 3, 2017 (http://www.thewoventalepress.net/2017/10/03/book-review-heating-cooling/). Commentary, AN AFFAIR TO REMEMBER on CELEBRITIES IN DISGRACE (Blog), September 15, 2017 (https://celebritiesindisgrace.wordpress.com/). "On SHOULD I STILL WISH: A MEMOIR by John W. Evans," THE KENYON REVIEW, July 14, 2017 (http://www.kenyonreview.org/reviews/should-i-still-wish-by-john-w-evans-738439/ ). Review of LONESOME LIES BEFORE US: A NOVEL by Don Lee (Norton, 2017), THE WOVEN TALE PRESS, May 12, 2017, (http://bit.ly/2oRnIUC). Review of IN SUNLIGHT OR IN SHADOW: STORIES INSPIRED BY THE PAINTINGS OF EDWARD HOPPER, ed Lawrence Block (Pegasus, 2016), THE WOVEN TALE PRESS, February 9,2017 (http://www.thewoventalepress.net/2017/02/09/book-review-sunlight-shadow/). Review of THE WORLD ON FIRE by Jerald Walker (Beacon, 2016), FOURTH GENRE (Spring, 2017). Review of MOVIEOLA! by John Domini (Dzanc Books, 2016), PLEIADES BOOK REVIEW, 14.1 (supplement to Pleiades 37.1, Winter 2017). Review of THE MERRILL DIARIES by Susan Tepper, AMERICAN BOOK REVIEW, 37.4, August, 2016. "Notes on Contemporary Writing," essay, SOLSTICE, Summer, 2016 (http://solsticelitmag.org/content/featured-notes-contemporary-writing/). Review of LEAVING THE PINK HOUSE: A MEMOIR by Ladette Randolph (U. of Iowa Press, 2014), SOLSTICE, 10/30/14 (solsticelitmag.org/review-leaving-pink-house-ladette-randolph). Review of FROM THE UMBERPLATZEN by Susan Tepper, LitPub (http://thelitpub.com/i-thought-i-felt-myself-crack/), Aug. 23, 2012.
Review of THEY'RE CALLING YOU HOME by Doug Crandell, PIF Magazine, June 1, 2012. "Bret Anthony Johnston," Critical Survey of Short Fiction: American Writers, 4th edition, ed. Charles E. May (Salem Press/Ebsco, January 2012). Review of RAYMOND CARVER: A WRITER'S LIFE by Carol Sklenicka, The Boston Globe, December 20, 2009. Writing exercise, "Simultaneous Actions in Fiction," in NAMING THE WORLD, edited by Bret Anthony Johnston (Random, 2008). "The Novels of Brian Moore," essay, PLOUGHSHARES 2/2, 1974"
"A Conversation with DeWitt Henry," by Susan Tepper, The Nervous Breakdown, Nov. 10, 2018 (http://thenervousbreakdown.com/stepper/2018/11/a-conversation-with-dewitt-henry-2/ ). 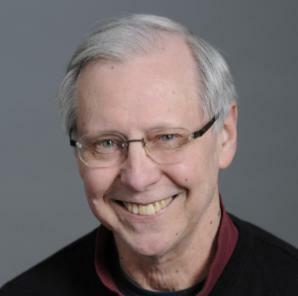 "Honesty in the Use of Words: A Conversation with DeWitt Henry," by Ryan Ridge, Juked, Nov. 10, 2018 (http://juked.com/2018/11/author-interview-with-dewitt-henry.asp ). Jack Smith reviews SWEET MARJORAM from the philosophical perspective. Honesty in the Use of Words: A Conversation with DeWitt Henry (plus "On Meat"). Essay in Ducts Magazine: "On Swimming"
Essay in Solstice Magazine: "Perspectives"
"Life itself is our glory and ordeal, our measure of heart, and of passion. We do our best. There is no finish line." 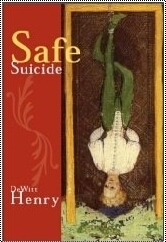 --from "On Aging"
Stephen Windwalker review of SAFE SUICIDE: "There is more to gain from Henry’s book than any Paris memoir, whatever the transient pleasures of the latter. Every page of this book beats with felt life."